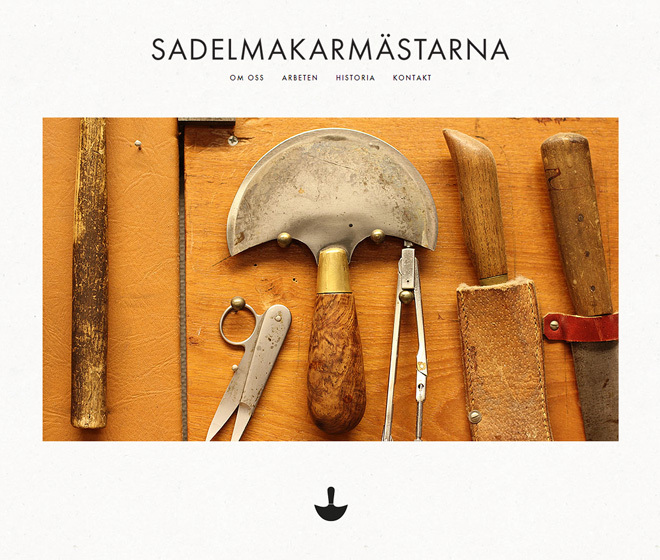 Sadelmakarmästarna was founded in 1899 and is well known for their skilled craftmanships in leather. The site is responsive between 1080 pixels and 840 pixels. The Om oss page has a HTML5 video. The First page, the Arbeten page, and the Historia page has each a slideshow. The Arbeten slideshow and the Historia slideshow has navigation arrows as well. Slideshow texts are also present on the Arbeten slideshow. All the slideshows were created using the Meteor Slides plugin. Go to sadelmakarmastarna.se to read more about their work and see examples of the work they have done.